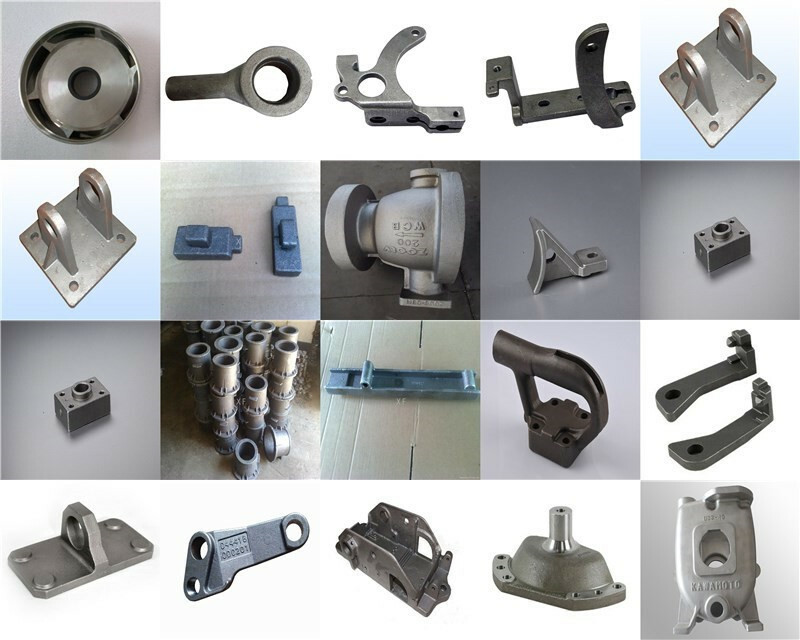 Product categories of Carbon Steel Casting Parts, we are specialized manufacturers from China, Carbon Steel Casting Parts, Oem Carbon Steel Casting Parts suppliers/factory, wholesale high-quality products of Carbon Steel Sand Casting R & D and manufacturing, we have the perfect after-sales service and technical support. Look forward to your cooperation! Unisite to be your best Casting Parts supplier. Our foundry is capable to make carbon steel alloys out of many casting processes per your request. Specifically, Carbon Steel Sand Casting is the most economical way to make the part. However, the surface roughness will not be very good. If you want the relative big part with good surface finish, Water glass process is your best option. Besides, silica sol investment casting process will be your best choice if you want to get the good finish part. It all depends on your requirements and budget range. Our main products with carbon steel alloys include tractors, trucks, forklifts, excavator, pump, valve, Construction machinery, trains, and marine boats. Low-carbon steels(< 0.20% C): Offer a range of tensile properties via heat treatment and can be hardened to give high surface hardness with abrasion resistance and good core ductility. Medium-carbon steels(0.20 to 0.50% C): This composition allows it to be more durable, pliable, and stronger. A range of tensile strengths are possible with good ductility and shock resistance, readily machined in the softened condition. High-carbon steels(> 0.50% C): Strong and has a good shape memory, making it a particularly useful option for spring manufacturers. This alloy steel for high tensile applications is subject to wear and abrasion and is suitable for heavy-duty applications as well.